Athens is an art town, a music town, a town where creativity flies. You can find artwork on almost every turn, each piece adding more flair and originality to the city. Whether it&apos;s fire hydrants, bus stops, or statues, these unique, secret masterpieces are on almost every turn. 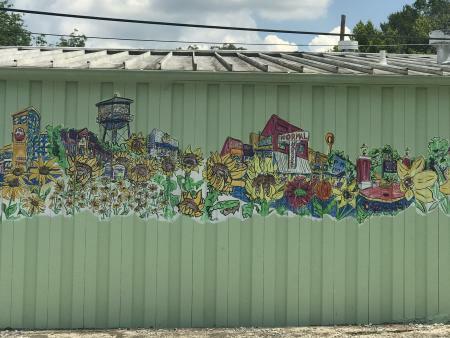 My personal favorite is the many murals displayed on buildings that can be seen throughout the town. Each one has its own story and its own remarkable design. 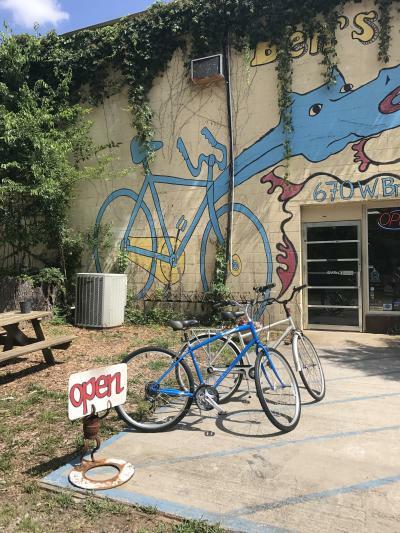 This is your guide to 21 (and counting) of these hidden gems in Athens, GA! If you are searching for your next photo shoot location, a new Instagram shot, or want to go on an art scavenger hunt, look no further! 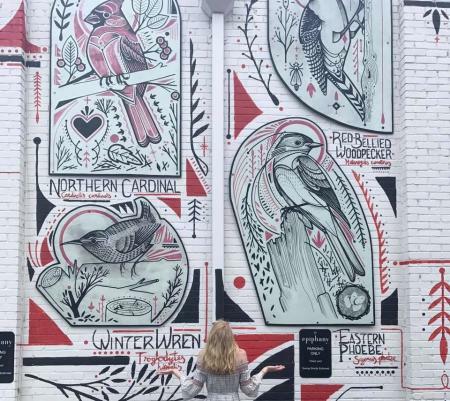 Your first spot on the list will be Downtown Athens where you will find eight of the murals! 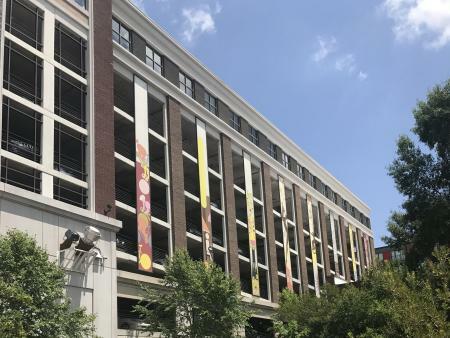 Stash your car in one of the parking decks or along the street, and begin exploring. Be sure to bring your walking shoes and lookout for other art pieces along the way! 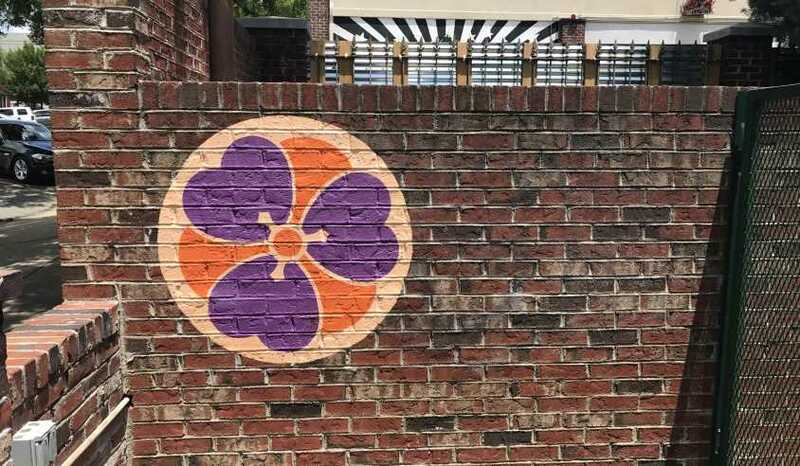 Easily accessible, this brightly colored piece of art is very visible to all who drive or walk by. 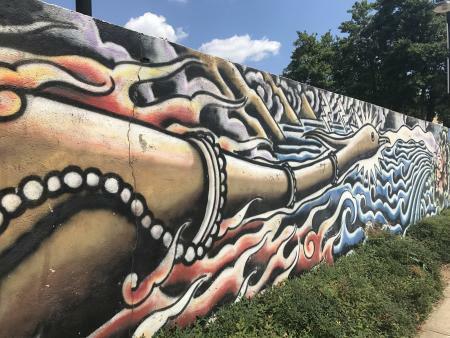 It is located on the edge of downtown Athens and was painted back in 2002 by a local tattoo artist. Many may wonder why a Phoenix? However, Watson painted this majestic bird to honor the Phoenix Natural Foods Market which was once behind the mural. Beautifying the city of Athens even more, you can find a group of murals on the Washington Street parking deck. Each image stands out by using bright colors and repetitive designs, a style that Kregel enjoys using in all of her work. Though you can&apos;t get super close to the pieces, you can admire from afar as you walk by! 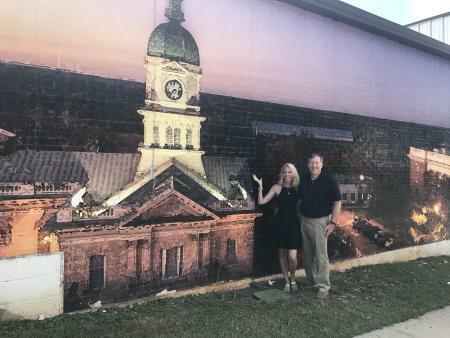 This mural is located on the side of the local favorite Max Canada bar, accessible through one of the largest patios in downtown Athens. The black and white look will add great contrast to your photo, especially if you are wearing brightly colored clothing. Come here to document your next girls night out! Located on the back of the Little Kings Shuffle Club building, this small but powerful, abstract piece is Instagram worthy for sure! Pose in front or take an artsy picture of the building, either way, your followers will be very impressed with your art find. Also found at Little Kings is another mural to check off your list. This mural is in the patio section and was created in the Fall of 2011. It was a special project for Young, Foxy & Free, a culture magazine. My favorite thing about it is the unique, intricate geometric design interlaced with pops of blue. This mural is always a crowd favorite. Located on the side of the iconic local restaurant, this spot is a fun, post-meal photo op that the whole family will treasure! Lettuce show you how amazing it can be to pose with vegetables! 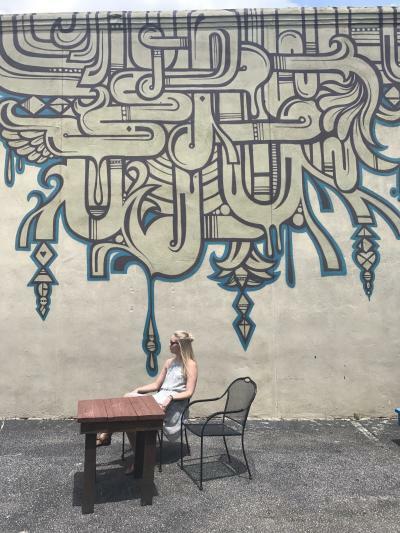 A personal favorite, this iconic mural is located on the side of the Epiphany boutique! Birdsong, painted in honor of Athfest Educates 20th Anniversary, illustrates a variety of song birds ranging from Cardinals to Blue Jays. The 20 birds represent the 20 years of Athfest and music. Hale, a local tattoo artist, worked along side four high school students to complete the project. 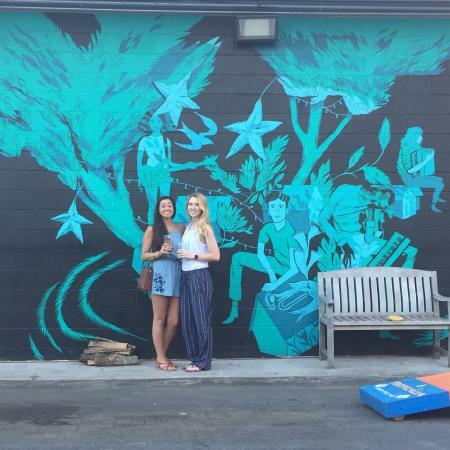 Another crowd favorite is the mural located at Creature Comforts brewery. 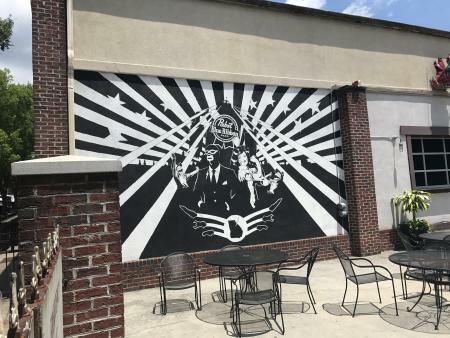 Painted in the courtyard, this mural is in an easy location to snap a picture with friends as you enjoy an afternoon or evening beer. Wislar&apos;s artwork represents the history of music in Athens and was unveiled back in 2016. Just a short drive away, Broad Street is your next stop. Here you will find five murals! Location: W. Broad and Church St. Located in the parking lot of Vic&apos;s Vintage is this beautiful, colorful geometric mural. I am a big fan of the distinctive pattern which the artist includes in almost all of her work. It makes a great spot for a group shot or a solo photo moment! Get your cameras ready! Location: W. Broad and Pope St.
Not visible from W. Broad, this beautiful artwork doesn&apos;t get as much attention as it should. The large bike painted on the side along with the greenery surrounding the shop makes for a very artsy photo. If you are looking for a more simple design, this is the place. The whimsical flowers and butterflies make a delicate background. I am a huge fan of the white brick and black shutters, which offers an amazing contrast. 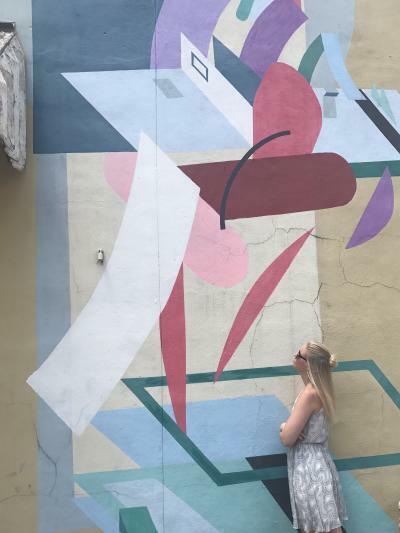 This mural also gives off hints of romance with its subtle design—this could be a great spot to take a memorable photo with your significant other! 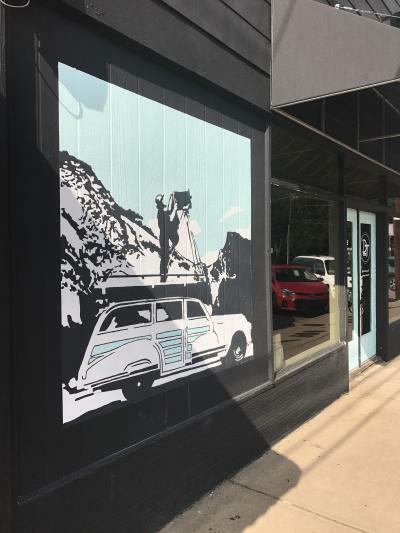 The Fish Shack, a new restaurant addition to Athens, has a lot of murals on and around its building. From monsters to hamburgers to sea creatures, this spot has a lot of backdrops to choose from! Nack is known to incorporate this line style in all of this work. You will also see his little monster drawing pop up in many of his designs especially in his other works around Athens. Location: W. Broad and S. Chase St.
Be sure to stop by Dollar General to get a chance to take a photo from a different downtown Athens&apos; perspective. For all you recent UGA grads, this spot makes for a perfect cap and gown picture! Our next neighborhood spot is the eccentric Normaltown! Here you will find five murals along with enjoying a whole different side of Athens. Normaltown is very authentic and has many small shops and restaurants that are definitely worth exploring! 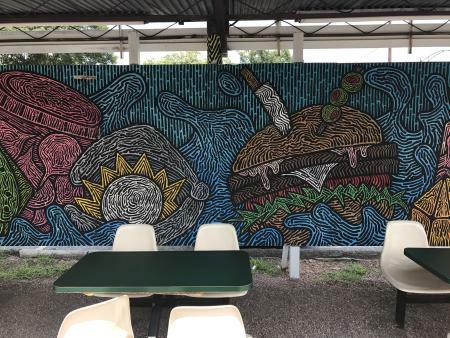 At Journey Juice, you will find three murals all by the artist Nack. You have the choice to take a fun picture with friends in front of the frog, turtle, or monster. Each spot will make for a memorable picture. Maybe even stop inside Journey Juice and use a drink as a prop for your photo? As mentioned before, Nack enjoys including his little monster drawing in a lot of his pieces. 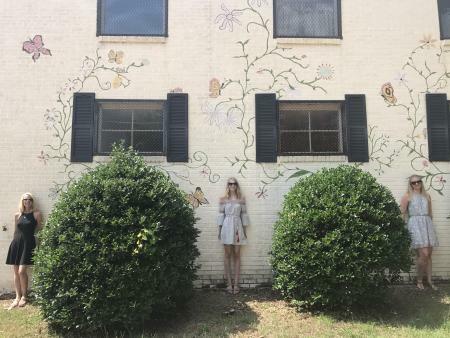 His whimsical murals are must-sees in Athens! This flower photo spot will brighten up anyone&apos;s day. 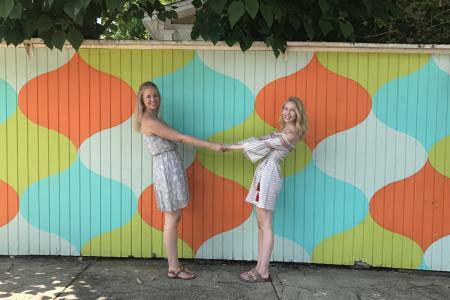 Right outside Marti&apos;s, this mural is in a great location for a post brunch photo! The cool colors on the flower really pop against the white wall. 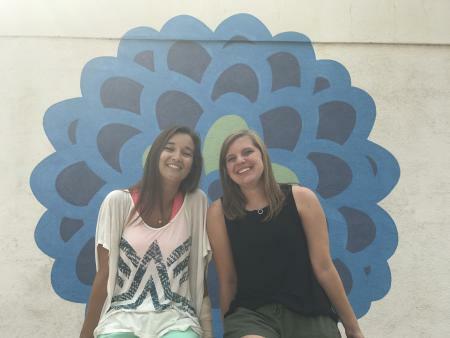 Document your fun day in Normaltown by snapping a picture with the memorable mural outside of DT Productions! The mural&apos;s design is perfect for the company&apos;s exterior as their business is all about film making and video production. 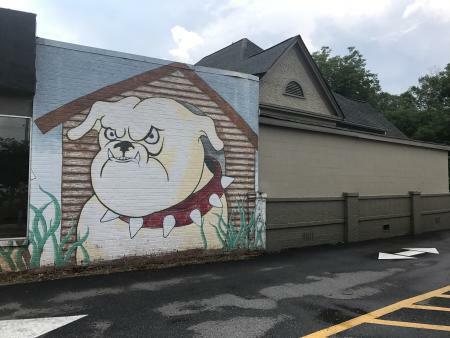 All you bulldog fans out there, here is the perfect mural for you! Dress in red and black and come here to snag the perfect Game Day picture. Located on the Benjamin Moore Paint building, the mural is very easy to get to and is visible from the road. It&apos;s the final countdown! Head over to Baxter Street to capture two mural photos. 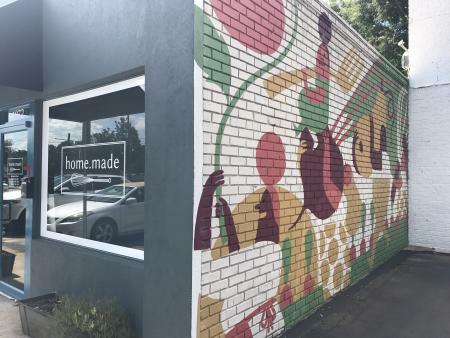 This building houses home.made, a new hometown favorite restaurant, and the beautiful artwork by local illustrator, Eleanor Davis. 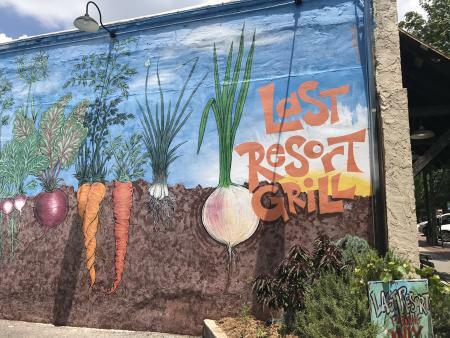 Her mural features vegetables, utensils, and smiling people. Come here to get a picture with your fellow foodie friends after a delicious meal! 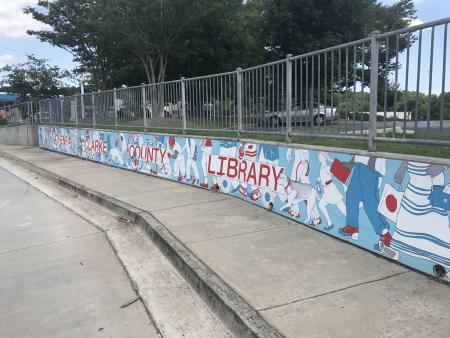 The Athens Clarke County Library&apos;s mural, located in front of the building, beautifully depicts the variety of people within the Athens area and their excitement for reading. I personally love how the artwork brings a pop of color to the street. Take a picture in front with your newly checked out library books and show your Athens love! Here are your last and final stops! Only two more to go. Another crowd/personal favorite, this mural is seen by many as they drive by. Jamie Calkin, the artist, is very well-known around Athens. His beautiful watercolors are found everywhere and make a perfect addition to the side of the Flowerland building. One side of the building features a watercolor of all the main UGA landmarks while the other side of Flowerland shows popular Athens&apos; landmarks. 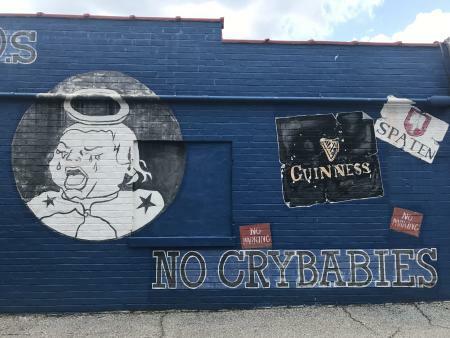 The Five Points Bottle Shop&apos;s "No Fake IDs, No Crybabies" mural is a 21-year-olds dream photo spot. It is a tradition in Athens to go to this shop on your 21st birthday and receive a free t-shirt. Everyone then poses outside near the mural with their first alcohol purchase! Congrats! 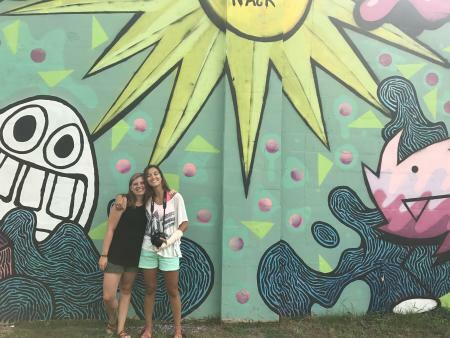 You have now found 21 murals in Athens. If you are looking for more public art or want more information on these murals, please visit our public art page. Remember, you can find hidden gems just about anywhere in Athens. Happy art hunting!